Sophie’s preschool has the awesome practice of communal snack. There’s a snack calendar with pretty healthy snack choices and each parent is assigned to bring snack once a month. There are pros and cons, of course. The cons mostly revolve around the difficulty of navigating a snack calendar with dietary restrictions. We try to provide a snack as close to what the class is having as possible (it helps her try new things and makes things easier on the teachers), but sometimes the class is having cheese cubes or crackers or something that makes things tricky. Tricky as it is sometimes, it’s also been a chance to practice some homemade recipes for things, since that’s easier and less expensive in a lots of cases to tracking down pre-made equivalents of what the rest of the class is eating. 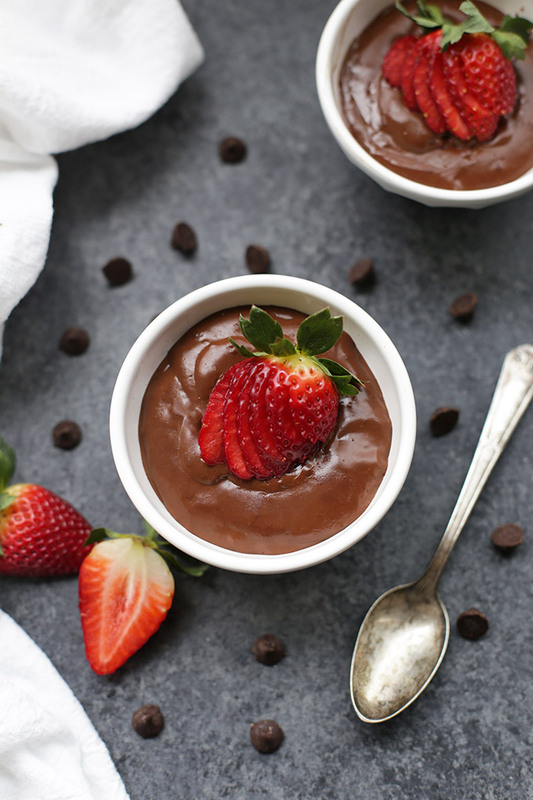 Once or twice a quarter, for instance, the kids get to have chocolate pudding as part of their snack, and this is the BEST gluten free, dairy free chocolate pudding recipe we’ve put together. A lot of vegan or dairy free puddings use avocado, banana, or tofu to help the texture. Sophie’s texture issues are so acute that she can detect the avocado or tofu a mile away, and banana, well…it just really makes everything taste like banana. What milks can I use? I like using a combination of almond and coconut milk since it prevents either flavor from overpowering the chocolate and the coconut milk lends a nice richness. You can substitute other dairy free milks, but know that if you’re skipping the coconut milk, your end result will be a bit thinner. If you’re not dairy free, you can also use cow’s milk in the same proportions (the more skim the milk, the thinner the pudding). Arrowroot vs. Cornstarch. You can use cornstarch instead of arrowroot if you like here. Arrowroot is a grain free starch that’s common in allergy free and paleo cooking. I like it here because it gives such a gorgeous texture, but if you’re a cornstarch fan, go for it! Thicker, thinner. This pudding does continue to thicken as it cools. If you want to loosen it up a bit, just add a splash of milk and whisk it in. What about lumps? I don’t mind a few little lumps here and there, but if you want yours completely smooth or end up with some accidental lumps, you can either whisk-whisk-whisk till things smooth out, or just use an immersion blender to smooth things out. Works like a charm! Change it up. I like a few drops of almond extract in this for a little something extra, but it’s also completely delicious without it if you’re not a fan. I’ve also tried adding a few drops (2-3) of peppermint extract around the holidays and it was AWESOME. 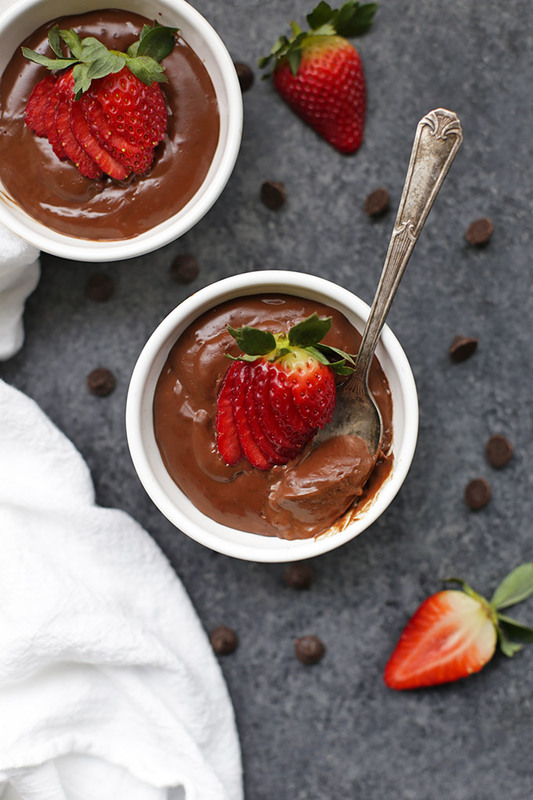 The best vegan chocolate pudding – made without avocado, banana, or tofu! This is the real deal–chocolatey, rich, and creamy. In a medium saucepan, whisk together cocoa powder, arrowroot, and sugar. Pour in the coconut and almond milk and whisk to combine. Bring to a bubble over medium heat, stirring regularly. The mixture will slowly thicken as it comes to a low boil. Whisk it for about 2 minutes after it starts bubbling. You’ll feel it thicken. Remove from the heat and stir in chocolate chips, vanilla, almond (if using), and salt. Whisk until smooth. Transfer to a container or serving cups. Press plastic wrap against the surface of the pudding (to prevent a “skin” from forming). Refrigerate until completely chilled. Pudding will continue to thicken as it cools. If the pudding ends up thicker than you prefer, you can thin it out with a tiny drizzle of additional almond or coconut milk. This looks so delicious! 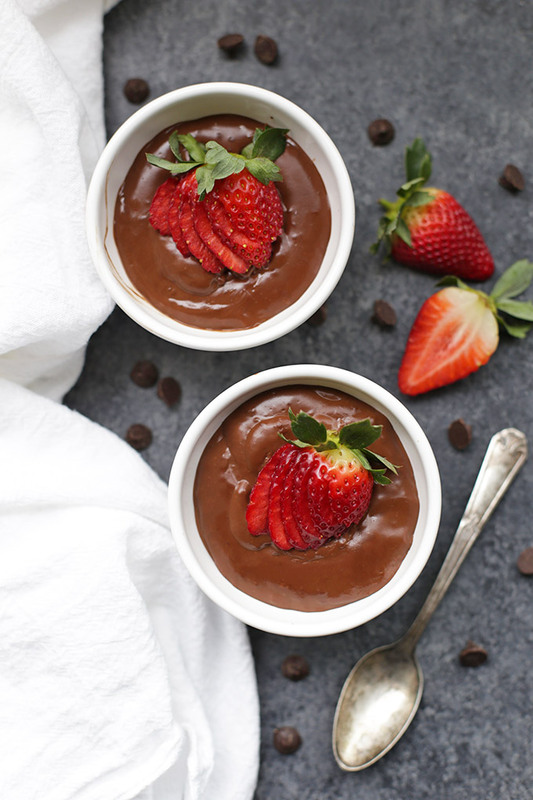 We’ve been on the hunt for healthier desserts, and I love pudding! We’ll have to try this soon! I literally can’t even. SIGN ME UP!!!!! I don’t even follow a vegan diet, and I want this! It looks divine! HB – You can try it, but in my experience, the texture will be slightly more gloopy. You can sub twice the amount of cornstarch in its place. Hello – I made this last nite subbing an equal amount of cornstarch. It turned out divine: silky, smooth, and even delicate. (Glad I chose the cornstarch as I was on the fence about the tapioca starch since I don’t have any arrowroot.) Would make a great pie filling!!! Bookmarking this one for later – 5 stars! Dawn – I’m so glad you enjoyed it! It makes a GREAT pie filling! We made it for Thanksgiving and it was awesome! What would be a good substitute for the almond milk, if trying to avoid all nuts for school? We have no intolerances to dairy, etc. and I’d love to be able to send it to school for a small lunchtime dessert. Thanks! If you’re not dairy free, you can absolutely make this with dairy milk in place of the almond milk. It should work like a charm! This looks wonderful! Do the chocolate chips serve as a thickening/texture agent or just another layer of chocolate flavor? Wondering if I can forego them and make the pudding sans chocolate chips. They do both, I’m afraid. They finish thickening the pudding and lend most of the chocolate flavor. The cocoa powder lends some, but the real chocolatey flavor comes from the chocolate chips. Approximately how many cups does this recipe yield? Liz – This is between 3 1/2-4 cups of pudding. (Mine is usually closer to 3 1/2 cups) It’s plenty for a pie filling, or 4-5 servings. I’m just leaving a comment as I noticed you didn’t have any reviewers to testify if this really is the best vegan chocolate pudding. ? I made this for the first time today and used maple syrup and didn’t have almond extract so left it out and it is really darn good! I haven’t made the weird tofu or avocado puddings just chia -which I do love. But this is a class of it’s own and is so thick and rich it truly is a chocolate pudding, not a vegan-so-it-will-have-to-do pudding either! Yum! Akela – THANK YOU! You made my day with such a nice comment! I’m glad you liked it! It’s just one of my all-time favorites. I’ve just made this and followed the recipe to the T , thinking I’ll try the original and probably end up tweaking it to my liking….well lady let me me say, this recipe needs NO tweaking!! It’s perfect!!! It’s delicious!! It’s beyond delicious!!! I’ve always loved chocolate pudding and but hated the sadness that accompanied the scratching of the bottom of an empty cup of store-bought pudding. I always said “Man I could eat a whole pot of this” ….well….NOW I CAN! Thanks a million! Oh, I’m SO SO SO glad to hear it! What a fantastic comment to get today. Thank you so very much! I haven’t made a vanilla version before… Because you’d be removing the cocoa AND chocolate chips (which also add to the texture), I couldn’t guess at the amounts without doing some more experimenting. Sounds like vanilla pudding is a good recipe for me to try to develop! This recipe looks amazing! But I was just wondering if any of the coconut flavor comes through? I have a brother that hates coconut so I can make this and not tell him what’s in it, as long as he cant tell. I’ve found that by mixing the almond and coconut milks, the coconut flavor is very diluted. If he’s a die-hard hater, he might still be able to tell. I’ve tried making this with all almond milk, and it was just a little too thin for my taste. I was thinking about a coconut free version, dairy free version..
how about a cashew nut butter for fat? You could certainly try your suggestions, though I wouldn’t be able to guarantee results. Best of luck! I made this as is and it’s delicious. Celiac and dairy free here and very easy to make such a chocolate bomb. Is great with some fresh raspberries for relief from the richness or serve with whipped topping for more calories lol. I would say that I didn’t find it very sweet which was excellent for my adult palate but if you wanted something closer to a sweeter milk chocolate version add a bit more sugar. I used the coconut sugar so perhaps it’s less sweet on the palate than white sugar. Did I mention how fast you can make this??? Thanks for the recipe. I’m so glad you enjoyed it Christina! I love it, too! I saw the picture pop up on Instagram today and thought I have strawberries, I have to make this! Just cooked it and can’t wait till dinner to eat it. And thanks for a healthier recipe, this is one I won’t feel guilty letting my 20 month old eat! Oh, I hope you love it! It’s been one of our favorites for the last couple years and it makes me so happy every time! Could you use regular sugar in place of the coconut sugar? Made this for a Valentine treat and topped it with raspberries! I have really come to trust the recipes you post. I have made quite a few and they have all been wonderful! Thank you for helping our gluten-free, dairy-free household! My husband is also has to be salt-free if you can imagine. This recipe is absolutely delicious! Thank you for sharing. Can it also be made with reduced-fat coconut milk? I’m worried that the texture will be too thin if I don’t use the full fat version, but I’d like to omit a few calories if possible. Abi – I’m so glad you enjoyed it! I’ve tried it with reduced fat coconut milk (still the canned kind) and it does turn out a bit thinner. If you’re want to offset this a bit, you can add an extra Tablespoon of thickener (arrowroot/cornstarch) to the mixture. It won’t be exactly the same, but it’s okay! I don’t recommend using the carton coconut milk since it’s VERY thin and your pudding won’t set up properly. Hope that helps! Thanks so much for your comment! Best chocolate pudding recipe ever. I’m so glad you love it! It’s my all-time favorite! Made this a couple of weeks ago and it was heavenly! Ate it with strawberries and it was SO good. Just made it into mini pies tonight for PI day. Chocolate cookie in a muffin liner for the crust and made the pudding with peanut butter chips instead of chocolate chips and whipped cream on top. Haven’t tasted it yet but hoping it’s yummy and chocolaty PB goodness! YUM! Peanut butter chips sound amazing! yumm..cant wait to try it..i might try it with carob chips even as cocoa causes me some issues. Sue – I’d love to know how it turns out with the carob chips if you try it that way! This is delicious! I used maple syrup instead of sugar. I never have it it. It turned out a little soupy so I added a quarter cup chia seeds. Thanks for the recipe. Eager to give this a try. Thanks for having the “print” so easy to find and keep your recipe in my physical collection! My pleasure! I hope you LOVE it, Becky! Made pudding! Excellent and so easy a retired Entomologist could make it! My 21 year old son just had his wisdom teeth extracted, I bought DF ice cream, sorbet, yogurt, what did he want pudding? Found this recipe, whipped it up (had everything in the freezer or cupboard, and it is AMAZING! Thank you. Oh, I’m so glad this hit the spot! Wisdom teeth recover can be so rough! Unfortunately I did not like the texture of this amazing sounding recipe. I followed the recipe as written, but found it to be slimey or glue-like in consistency. Not creamy. Had to dump it, no one in my family would eat it. Is there something you can suggest that I may have done wrong? Susan – I’m so sorry to hear that! Have you made a lot of homemade pudding in the past? I’ve found most homemade puddings are more thick and dense than anything store-bought. Stirring it back up before I serve it tends to help me get a little more air into it (which can lighten it back up a bit). Mine has never been slimy before, though–that sounds awful! Was it from condensation on the top, or all throughout? I’m so sorry! Sorry, I totally appreciate your recipe, but I found the same issue with texture. I think the culprit was the arrowroot. My daughter is a vegan and I am always looking for dinner/food ideas, I found the pudding had a very rubbery and gluey, icky texture.. I would have used cornstarch, but somewhere in the write up it said the texture that arrowroot added was great. The flavor was good, but the texture was awful, and I couldn’t even eat it. I will try another time with cornstarch, ’cause the texture of arrow root is HORRIBLE! Sorry for any offense – I so appreciate the overall recipe and I will post again to say how it comes out with cornstarch. Carrie – No offense taken! Everyone’s tastes and preferences are different, and it sounds like you have a great plan for next time! Do you have to make this with arrowroot because I couldn’t find any around my area. Nope! In the “notes on the recipe” section, you’ll see that cornstarch will work too! Made this tonight and it was fantastic! 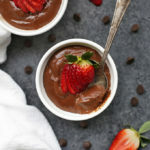 Probably the best, and easiest, vegan chocolate pudding I’ve found. It was a huge hit with my kids and my husband even enjoyed it. I usually modify recipes, but I didn’t need to change anything with this. I’m SO glad to hear that! It truly is my all time favorite! I had to come back and add… We had a little bit left over from last night and I added it to some CocoWhip vegan whipped topping. It made it like a mousse. Thank you again for a great recipe! Ooh that sounds so great! I just made this, the liquid os uber delicious but it’s not solidifying at all. Any tips? Thank you!! Oh, dear! I’d love to help. How long did you refrigerate it? Did you use arrowroot or cornstarch? Can you tell me the carb count per serving? Thanks! Judy – I don’t have nutrition facts available (the software isn’t in my budget right now), but you can import the recipe into any free online calculator. My favorite is MyFitnessPal (the app or the site) because you can import recipes straight from the web. Wishing you well! I have never used coconut milk from a can. Do you use everything in the can? Elizabeth – What do you mean? I primarily use fresh ingredients, with a few pantry staples (like diced tomatoes, tamari, coconut milk, etc.) Canned coconut milk is really common where I live, and is much more thick than anything I can find in cartons. It gives such a delicious rich texture to this pudding that I love using it here. My almond milk is the kind from a carton (sold in the refrigerated section). Did you use semi-sweet or dark chocolate chips? My favorite are dark, but I usually make this with semi-sweet (my family’s favorite). Use what you like! I am making the gradual shift to a more dairy free existence and this recipe caught my eye. I made it last night and it is absolutely wonderful. I didn’t add the almond extract but will try when I make this again. The texture reminds me more of a chocolate mousse which thrilled me for it met my individual preference. I did find that the shifting from cows milk to alternative milks (coconut and almond) may take some getting used to but even though the flavor difference is apparent I don’t think it takes away from the taste. I’m so glad to hear that you enjoyed it. I love that it feels rich and luxurious! Switching to dairy free milks does take some adjustment time, but I’m wishing you all the luck in the world as you make the transition! Julia – I’m SO HAPPY to hear that! We made it last week for Halloween “dirt pudding” cups and loved it all over again! I haven’t had chocolate pudding in years but as soon as I saw this recipe I got an intense craving. This hit the spot! I used coconut cream and it turned out super thick and creamy. I also used cornstarch as that’s what I had. The texture wasn’t as smooth as I hoped but the flavor was so good. Does arrowroot make the texture smoother or is there something else I can do to make the cornstarch texture smoother? I’m making this for a pie filling for my daughter’s birthday. I was going to make it, chill it, then rewhip it to pile high in my pie crust. Do you think it will maintain the thickness if I whip it after chilling? Hello, thank you for the recipe, can you substitute the chocolate chips for a vegan chocolate bar? Maybe I could grate it or break into pieces? Thanks! Yes! I’m sure that would work great! I’d just chop it or grate it so it can melt easily! I’ve been using this recipe for a while now and I love it! Thank you so much for sharing! I often wonder though what is the purpose of adding the vanilla after removing from heat instead of before? Does it affect the flavor or the texture? I’m so glad you enjoy it! The reason you add the vanilla after is to preserve its flavor. Because most vanilla extract is alcohol based, it can cook off during the cooking process, which weakens the flavor. You can always add extra at the beginning, knowing that some of it will cook off during the cooking process, or you can add a little extra at the end, if needed. It’s totally up to you! Just made this and it is soooo delicious! I had sweetened almond milk, cornstarch, and a 14 oz. can of coconut milk on hand and added a bit more sugar and some maple syrup. To intensify the chocolate flavor I also added about 1/2 tbsp of espresso powder. To make the pudding extra smooth I sifted all the dry ingredients into the pan before stirring together then slowly drizzled in the almond and coconut milk while whisking altogether. Thanks for sharing this recipe; I’ll be making more for sure! It sounds like you did an AMAZING job making it taste incredible! Thanks for your tips and suggestions! Bless, I love pudding but dairy hates me. Ha! I hope you love this as much as we do! Made it! Mother and Son approved! 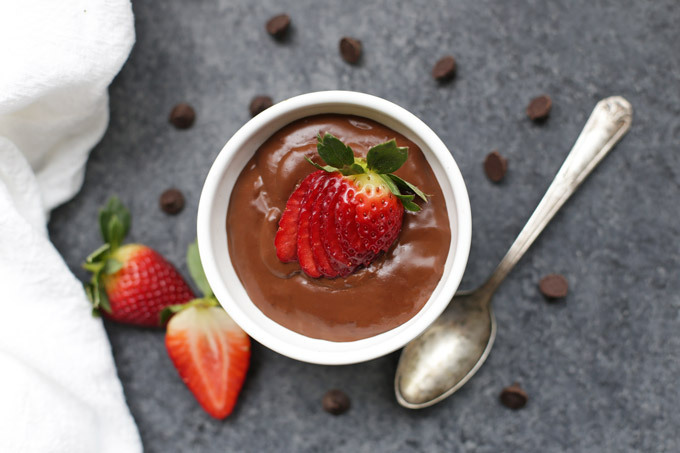 I used to try to get him to eat my avocado chocolate pudding but he kept saying something was off and he didn’t like it…BUT this one hits the spot for him! He’s so happy he can eat pudding without worrying about triggering his allergies or eating “something off.” Thank you! Hooray! That’s so wonderful to hear! My kids both just LOVE this one, and I love that they don’t have to miss out! Do you think I could use flax or soy milk instead of the almond milk? My little one has dairy and nut allergies. Yes! You can sub basically any milk for the almond milk. The coconut milk is a little harder (but still possible) to substitute, since using a thinner milk will result in a thinner consistency for the pudding. I hope you love it! Wow! So good. Sprinkled sea salt on the top. Hooray! So glad you enjoyed it! I love it with sea salt! Can you freeze the pudding? Jennifer – I have never had good luck freezing pudding before. I haven’t tried it on this recipe, but it hasn’t worked well for me in the past. The binders don’t always hold and the texture can get gloppy and separated upon thawing. I’m sorry! Tammy – I don’t have nutrition facts available on my site for this one yet. You’re welcome to plug it into any free online calculator! My Fitness Pal is my favorite (the app or the site). Hi I use to buy ZenSoy chocolate pudding but they seem to be out of business. I can’t find Vegan and Gluten free pudding anywhere. So I made yours. Wow it is amazing! Also I made it once with corn starch, it came out very think, maybe too think after 24 hours in the fridge. I made it once with arrowroot, it did not firm up much. Not sure if I am under heating it, but I don’t want to burn it. Brandon – Thanks so much for your comment! That’s not a dumb question at all. The heat activates the thickening properties of the cornstarch or arrowroot. If you don’t heat it, it cannot thicken. This homemade pudding is thicker than some store-bought varieties (many homemade puddings are), but it does sound liker perhaps it was over-cooked with the corn starch and not quite long enough with the arrowroot. If you keep your heat on medium-low, whisking pretty constantly, then pull it off the heat when it’s visibly thicker, I think that should help. (Did you by chance watch the recipe video? I think it gives a good visual of the state you’re looking for.) One trick is that it should be thick enough to coat the back of a spoon well (if you run your finger along the back of the spoon, the line where you moved your finger should stay visible). Another trick is that if you *do* accidentally get it too thick, you can loosen it back up with some additional milk and some whisking after it’s refrigerated. I hope some combination of those tips helps for next time! Thanks again for leaving your comment!!! Just following up- Thank you very much for the tips. I made the pudding again (with Arrow Root) and kept it over the heat a little longer. It firmed up better. And a few hours in the fridge made it perfect! I am a gluten-free vegan and it is very hard to find pudding that I can eat, this is great! Oh, I’m SO GLAD! It really is so hard to find a good GFDF pudding out there, and this is our favorite! I’m making a chocolate pudding pie with this recipe. Can I pour the warm pudding into a chocolate crumb pie crust right away? The pudding is delicious and I used the reduced fat coconut milk!! I cannot, in good conscience use the full fat coconut milk. Hi there! This looks delicious!! I’m planning to make today but have a quick question- for the can of coconut milk, do you use the full can (including coconut water) or just the cream at the top? The full can 🙂 Hope you love it! Thank you so much for this recipe! It’s absolutely delicious and you wouldn’t know that it’s a vegan recipe. The texture and flavor of this pudding are outstanding! You MADE my day! What a sweet review. Thank you! I’m so glad you loved it as much as we do!!! I only have coconut cream in my pantry. Can I sub that for the full fat coconut milk? Wanting to test this recipe today for a wiggly worm / muddy puddles dessert for my daughter’s first birthday! Jamie – Yes–BUT! If you use a full can of coconut cream, it will be VERY thick, so I recommend doing HALF the amount of coconut cream and adding more water or almond milk for the rest. (So I’d add half the can of coconut cream, put the rest in your fridge and then add half a can worth of extra almond milk (or water)). Oh, I’m so glad! Hope you love it even more next time when you try it with half coconut milk! DELICIOUS! Very easy to make, a bit too much sugar for my taste (no, it’s not, I’m just supposed to be on a sugar-free diet), the consistency is just perfect and I will definitely make it again. Lele – This comment made my day! Thank you so much for making me smile! Holy moly. Best pudding EVER. To the person who had trouble getting it to set up…. I had no trouble but I also whisked the bejeebers out of it the entire time. The texture on this is amazingly smooth and creamy. I’m going to use this as food samples in a class I’m teaching on how to replace dairy in your life. 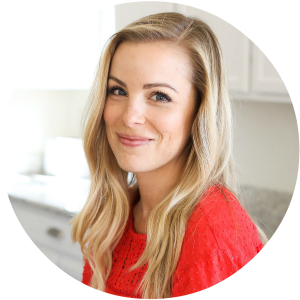 Thank you for this secret weapon in exposing people to the fabulousness of plant-based cooking. Great job. Oh my GOODNESS! This review totally made my weekend. Thank you so much for sharing this with me! Wonderful recipe. Thank you! I have to be gluten and dairy free for health reasons and with this recipe I can have pudding again. Insert happy dance here! I adjusted the ingredients slightly by using Ripple pea protein alternative milk along with Ripple’s version of 1/2 and 1/2 for thickness as coconut milk doesn’t agree with me. I also decreased the cocoa powder to 1 tablespoon, and used a mix of Enjoy Life semi and bitter sweet chips. Oh, I’m SO happy to hear this! Thank you so much for sharing. You’re the BEST! Danielle – YAY! You totally made my day. Thank you so much for taking the time to review the recipe! Oh, I’m SO GLAD you liked it!!! So many comments! Just discovered that I only have 1 tbsp of cornstarch left and no arrowroot starch. The internet thinks flour might work instead but I’m hesitant. Should I just wait until I can get to the store? Thanks! I made this once, per the recipe, and found the texture after chilling to be a too firm and gel like. I made it again and reduced the amount of arrowroot down to 1-2 Tablespoons and the consistency and texture (and taste!) were perfect. So glad you found a balance you liked! How many days does this pudding last for in the fridge? I haven’t yet. I wonder if you’d like this? I’ve been meaning to try it! Awww man, mine didn’t thicken up even after several hours in the fridge. We heated it in the microwave and it sure made delicious hot chocolate haha! Could it be that I used homemade almond and coconut milks? It was still yummy! Oh no! It *could* be the homemade milks, depending on how thick they were. Did it thicken in the pan as you were cooking it? love this recipe, followed mostly but I couldn’t bear to use full fat coconut milk so I used almond/coconut milk and 1 less tbsp of cornstarch and i used vermont maple syrup. I’m so glad you enjoyed it! Yum! I just want to verify when you say 4 tbsp arrowroot starch/flour it means either starch or flour not both correct? Ahhh! I love hearing this! It’s my FAVORITE and it’s often the first pie gone at Thanksgiving when I serve it with graham cracker crust. So good! Using it as cake filling sounds incredible–I’d love to know how it goes! Hi. I love the recipe but I can’t have chocolate. Can I replace it with something? Not for this recipe. The chocolate is essential for texture and flavor. I’m sorry! Does this store for a couple days?